Need to learn how to do a budget? Hit debt? Need a jump start with your finances? 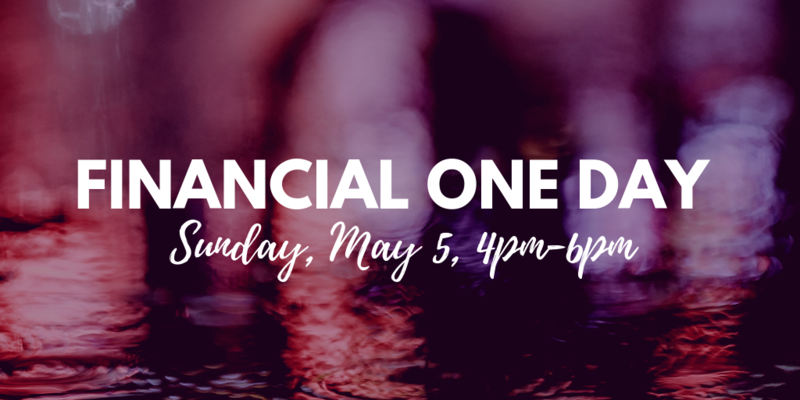 We would love to invite you to join us Sunday, May 5 for our upcoming “Financial One Day” – snacks and childcare provided, and the event is FREE! Text “ONE DAY” to 763-600-7040 to sign-up.